A Strack & Van Til grocery store. 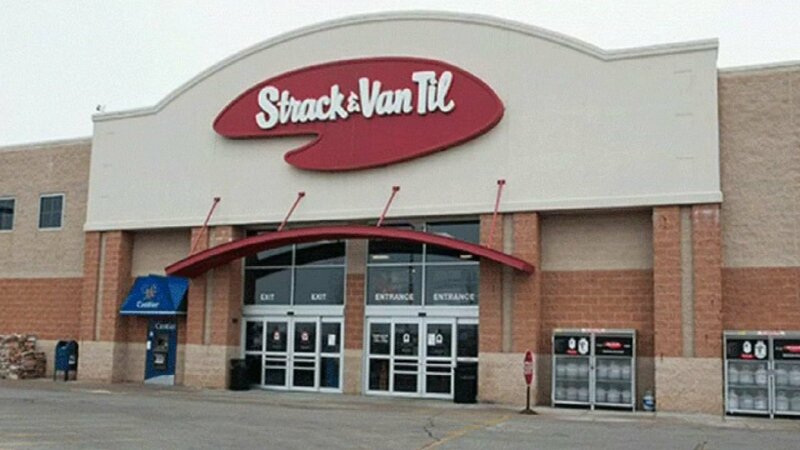 Jewel-Osco has entered into an agreement to buy out 19 Strack & Van Til stores in Northwest Indiana, the company announced Monday. Jewel agreed to the purchase of the 19 stores from Strack & Van Til's parent company Central Grocers. The proposed sale comes after Central Grocer's Chapter 11 bankruptcy filing. Jewel's bid serves as a "stalking horse bidder" in a court-approved process. If other qualified bidders emerge, an auction will be held with Jewel's bid setting the floor for the auction. As part of the sale agreement, Jewel has agreed to interview and extend offers of employment to the stores' employees. It's still not clear yet if those stores will keep the Strack & Van Til name or be converted to Jewel-Oscos. "We are excited to have the opportunity to grow the Jewel-Osco brand in the Midwest and welcome the Strack & Van Til team at those 19 stores to our Jewel-Osco family," said Doug Cygan, Jewel-Osco division president. "Our two companies share a rich history of serving customers in the Midwest as well as core beliefs in working hard to serve customers and deliver value every day on the finest quality fresh foods and local products." Jewel-Osco is an Itasca-based subsidiary of Albertson Companies. Central Grocers says it is still evaluating proposals for its 1,000,000 square foot distribution center in Joliet.